Bhagavad gita Means: Bhagavadgita or Bhagavad gita is usually translated as the Song of God. It is actually a song meant for the Bhagavatas, meaning the servants of God. The Status of the Bhagavad gita in Hinduism: The Bhagavad gita is regarded as an Upanishad (secret teaching), Brahma Vidya (knowledge of Brahman), and Yoga sastra ( a scripture on yoga). The Bhagavad gita, Brahma sutras and the Upanishad together are considered the triple scriptures or Prastanatraya. However, because it forms part of the Mahabharata, the Bhagavad gita is considered a memorial scripture (smriti) rather than a revelation (shruti) to which the Vedas belong. 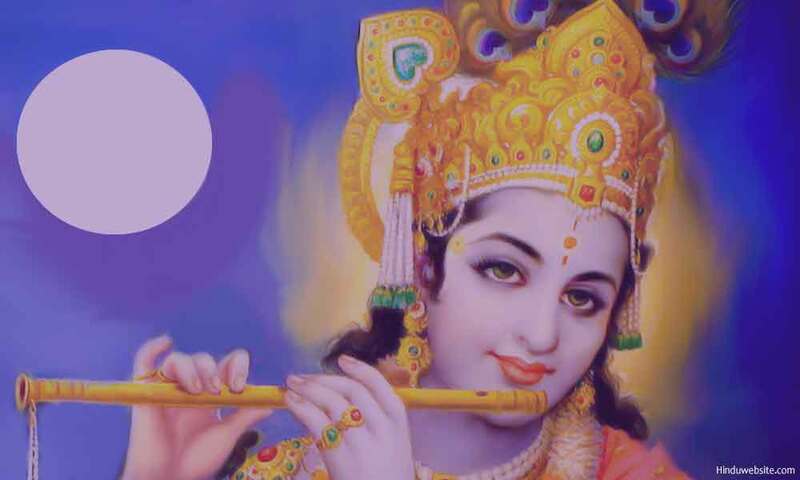 Who composed the Bhagavad gita? : We do not have definite information regarding who composed the Bhagavad gita in the scriptural form. Since it forms part of the Bhishma Parva of the Mahabharata, its authorship is traditionally ascribed to Ved Vyasa and the ultimate source to Lord Krishna Himself. When the Bhagavad gita was composed? : Historians tend to ascribe different dates to the composition of the Bhagavad gita. It is possible that the Bhagavad gita existed as a secret teaching and was transmitted orally and selectively to a chosen few before it gained popularity and earned the status of a scripture by itself, coinciding with the rise of Bhakti movement and Vaishnavism after sixth century BCE. Main characters of the Bhagavad gita: Dhritarashtra, Sanjaya, Arjuna, Lord Krishna are the four main participants of the Bhagavad-Gita. The four represent the four states of awareness and four means of knowing. Contents of the Bhagavad gita: The most commonly accepted renderings of the Bhagavad gita contains 18 chapters of varying lengths and in all 699 or 700 verses. It is believed that the actual number of verses was originally 745. The verses are composed in Anustup meter and hence suitable for singing and chanting. Ved Vyasa is considered the seer (rishi) of the Bhagavad gita mantra. Lord Krishna is its chief deity (devata). The message of the Bhagavad gita: Know your identity, do your duty, surrender to God, offer your actions and their fruit to Him, practice detachment, renounce all desires, meditate upon God and His manifestations, cultivate divine qualities, learn to discriminate the right from wrong and the pure from the impure using your intelligence and work for your salvation: this, in brief, is the message of the Bhagavad gita. Translation of the Bhagavad gita: The Bhagavad gita was first translated in 1785 by Charles Wilkins. After that there have been many translations. The following is a translation done by Jayaram V in 2000. This is a free translation in the sense that it is not a word to word translation. This is different from the recently published translations by the same author, namely The Bhagavad gita Complete Translation and its abridged version, The Bhagavad gita Simple Translation. The Complete Translation also contains a comprehensive commentary. We are providing links to all the three versions. The other two versions are presently available only in print form and not available online. We will provide some contents from these two soon. Presently you can read only a few excerpts. The Bhagavadgita Complete Translation. This is a Word to Word Translation of the Bhagavadgita with complete text, translation and detailed Commentary by Jayaram V. It contains the most comprehensive commentary on the Bhagavad gita in recent times. Only printed copies are available presently. You may order the same from here or read a few excerpts from here. The Bhagavadgita Simple Translation: This is an abridged version of the Bhagavad gita translation. It contains the Sanskrit text, word-to-word translation and the meaning of each verse rendered in English. Only printed copies are available presently. You may order a copy from here.. Essays on the Bhagavadgita: In this collection of essays, you will find a critical analysis of the philosophy of the Bhagavadgita and its relevance to human life. You will understand the true meaning of yoga in the context of the teachings of Lord Krishna and the importance of various yogas suggested by Him for our liberation. These essays will enhance your knowledge and understanding of the essential practices and principles of Hinduism. You can order a copy of this book from here. The Bhagavadgita Free Translation: This is a FREE TRANSLATION of the Bhagavad gita different from the Bhagavadgita Complete Translation and its abridged version. The Free Translation contains only the meaning of each verse in English. It is simple to read and very useful to understand the meaning, significance and the message of the Bhagavad gita. Copyright: All rights are reserved. No part of these publications may be reproduced stored in a retrieval system, or transmitted in any form or by any means, electronic, mechanical, photocopying, recording, scanning or otherwise, except for your personal use, without the prior written permission of Hinduwebsite.com or the author Jayaram V. If you want to publish the FREE Translation of the Bhagavad gita on your website please contact us and take our prior and written approval.